We have improved the ability in Configuration Manager to allow or prevent agents from rejecting interactions. 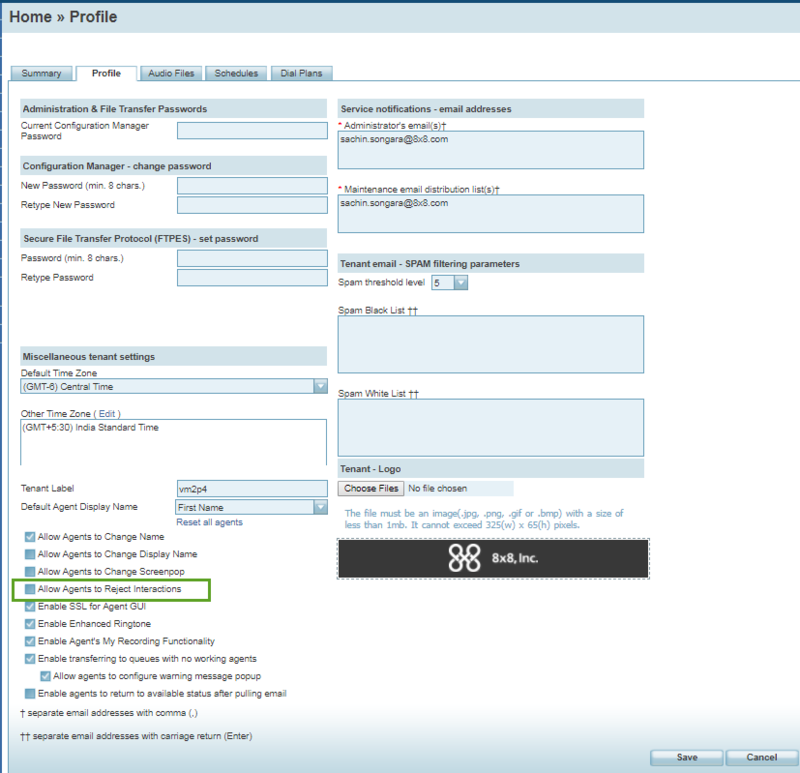 You can set up this ability for a tenant, an agent group, or individual agents. By default, this option is enabled allowing agents to reject interactions. When disabled, the Reject button in Agent Console is disabled preventing agents from rejecting the interactions they are offered. 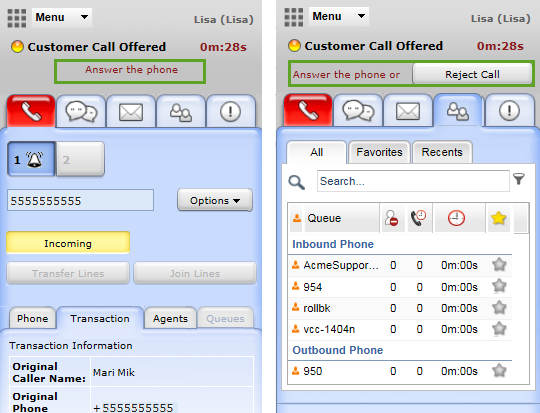 The Reject button in Agent Console appears when an interaction is offered to the agent. Clear the Allow Agents to Reject Interactions checkbox. This option prevents agents from rejecting interactions at the tenant level. 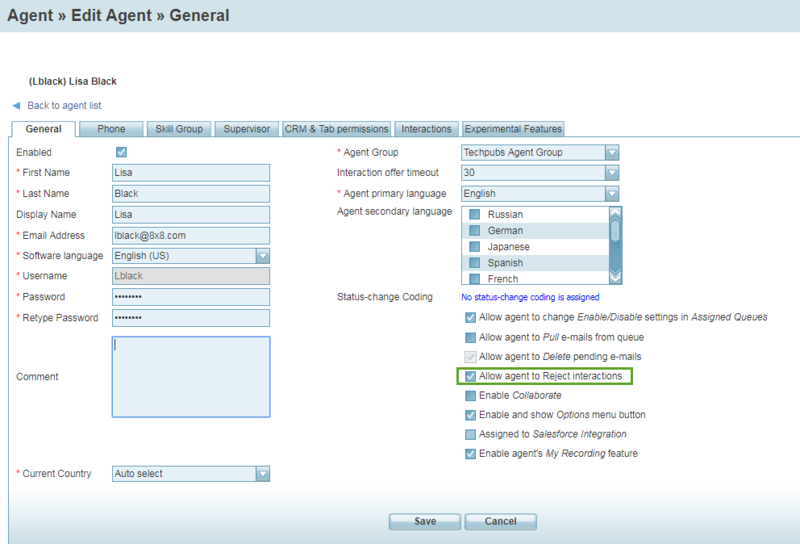 Once this option is removed at the tenant level, it is not visible at agent groups and agent level. Clear the Allow Agents to Reject Interactions checkbox. This option prevents agents from rejecting interactions at the group level. Once this option is removed at the agent group level, it is not visible at the agent level. Clear the Allow Agents to Reject Interactions checkbox. This option prevents an agent from rejecting interactions at the agent level.